Galvanized steel. For transmissions and other hard-to-get-to filler openings. 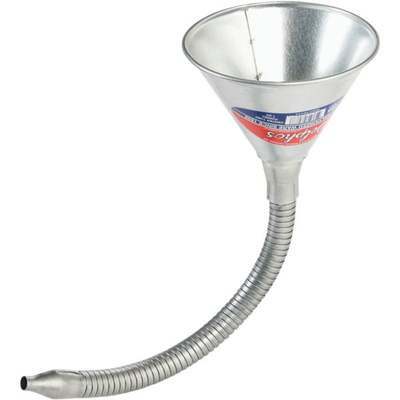 3/4" x 16" flex metal spout with 7/16" tip, and removable 70 mesh brass strainer screen. 1 quart capacity.